Europe’s Rosetta mission ended its 12-year mission Friday with a low-speed belly-flop on comet 67P/Churyumov-Gerasimenko, concluding an interplanetary odyssey that gave humanity a first close-up introduction to a class of objects which has stimulated imaginations for millennia. The crash landing was a dramatic punctuation to the $1.6 billion Rosetta mission, intended to record observations and imagery closer to a comet than ever before. The descent began at around 2050 GMT (4:50 p.m. EDT) Thursday with a 208-second burn by Rosetta’s rocket thrusters, setting the probe on a course for a 12-mile (20-kilometer) descent toward a point on the dual-lobed comet’s smaller chunk. Rosetta’s OSIRIS science camera took pictures throughout the descent, beaming the images across 447 million miles (720 million kilometers) of desolate space back to Earth almost immediately. The last image from OSIRIS came from an altitude of about 65 feet (20 meters), moments before Rosetta set down on the comet’s core at a projected speed of about 2 mph (90 centimeters per second), an average walking pace. 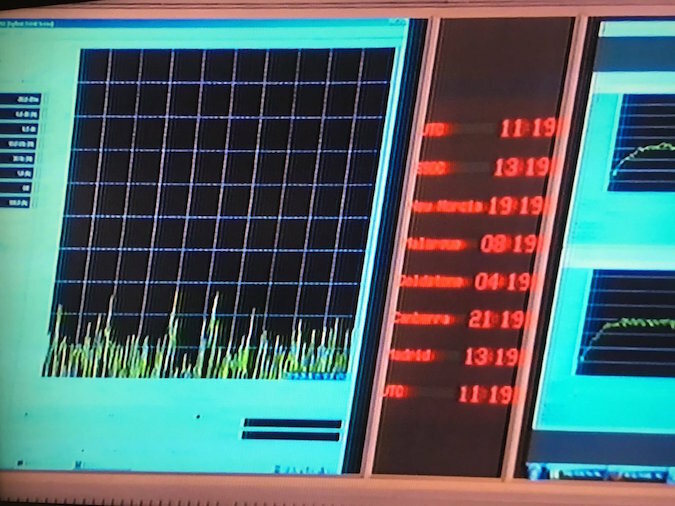 Engineers received the last signal from Rosetta at 1119:19 GMT (7:19:19 a.m. EDT), when a graphical display flat-lined inside the European Space Operations Center in Darmstadt, Germany. “All stations and the briefing room, we’ve just had loss of signal at the expected time,” said Sylvain Lodiot, Rosetta’s spacecraft operations manager at ESOC. “This is another outstanding performance by flight dynamics, so we’ll be listening for the signal from Rosetta for another 24 hours, but we don’t expect any. “This is the end of the Rosetta mission. Thank you, and goodbye,” Lodiot said as he signed off the mission control voice loop. The final views recorded by Rosetta peered inside an open pit named Deir el-Medina, after a noted archaeological site in Egypt. Scientists believe the depression, the size of a football stadium, is a source of jets of dust and vapor triggered as warming rays of sunlight waste away the walls of the pit. Scientists believe the Deir el-Medina pit, and other similar sites on the comet, may form through collapses like a sinkhole on Earth. 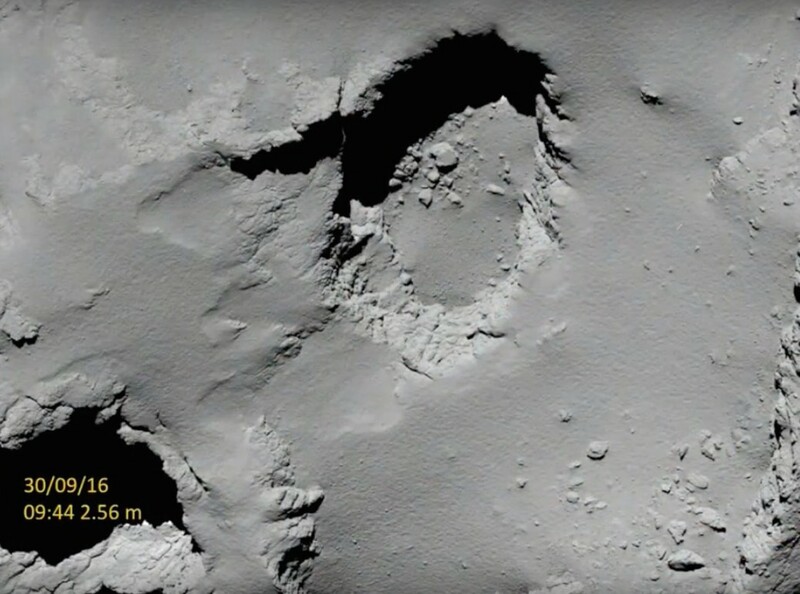 Pictures captured by Rosetta from far way revealed the walls of the pits have lumpy scale-like “goosebump” features that might be left over from the building blocks of the comet. 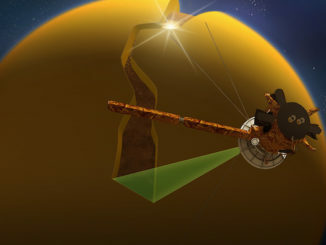 Rosetta’s guidance computer commanded the spacecraft’s gyroscope-like reaction wheels to deftly point the probe’s camera toward the pit before settling on a spot adjacent to Deir el-Medina. 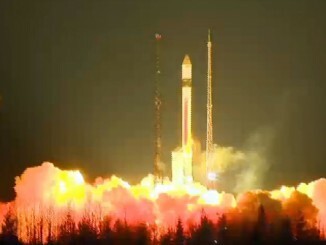 Holger Sierks, the OSIRIS camera’s principal investigator from the Max Planck Institute for Solar System Research in Germany, displayed images on ESA’s live webcast as soon as analysts received and processed them. He said the views were “super-duper,” showing rubble at the bottom of the Deir el-Medina pit likely left there as the basin’s walls eroded. Rosetta was also measuring the density of the comet’s tenuous atmosphere — scattered molecules of dust and gas — on the way down, according to Kathrin Altwegg, principal investigator for the ROSINA instrument from the University of Bern. “We will understand how dust is accelerated” from the comet, Altwegg said. 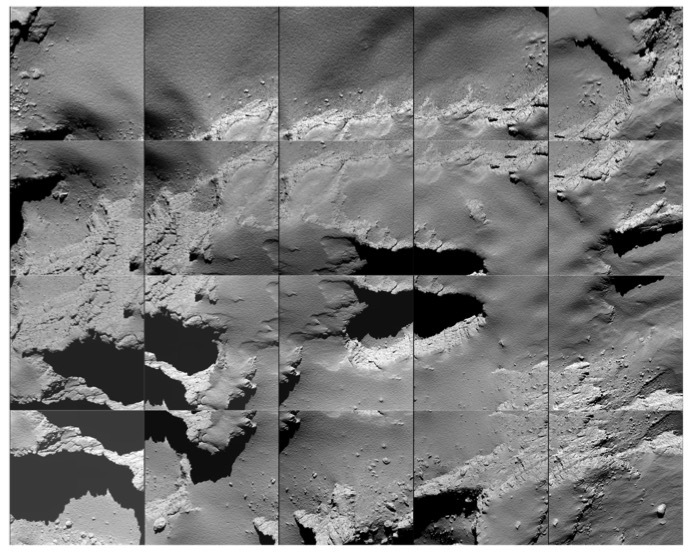 The images and data packages were compressed to maximize the scientific return in Rosetta’s final hours. There was no opportunity to store measurements for later downlink to Earth. The spacecraft was loaded with commands to turn off its radio transmitter once it touched the comet’s surface to keep the vehicle stable and comply with regulations from the International Telecommunications Union, freeing Rosetta’s frequency for future deep space missions. Officials decided to end Rosetta’s mission at the end of September, before the spacecraft and comet 67P pass behind the sun as viewed from Earth. That event, known as a superior conjunction, would have interrupted communications with Rosetta. The comet is on the outbound leg of its nearly six-and-a-half-year orbit around the sun, heading for a point known as aphelion beyond the orbit of Jupiter. At those distances, Rosetta’s power-generating solar panels would no longer produce enough electricity to keep the spacecraft running. “By the time we got out of this (conjunction), the power and data rate are so low that the operations would become very complex, so the right moment to do what we’re doing, to end the mission, is really before we entered such a state,” said Raymond Hoofs, an operations advisor on the Rosetta team at ESA. With their jobs complete, controllers exchanged hugs, shed a few tears, and packed their bags once Rosetta’s final data made it to Earth. Since it caught up to the comet in 2014, Rosetta made the mini-world, with its surprising shape reminiscent of a rubber duck, an iconic object in the annals of solar system exploration. Its outline is now instantly recognizable to scores of space scientists and enthusiasts. The images and data will live on, but the Rosetta spacecraft’s lifetime is over. Engineers steered Rosetta on a series of tightly-bound orbits around the comet in the weeks before the slow-speed crash landing, putting the craft onto an oval-shaped paths that took it within a mile-and-a-half (2 kilometers) from the surface. There was little margin for error at that distance. The effect of the comet’s weak gravitational tug, several hundred thousand times weaker than Earth’s, was amplified as Rosetta neared the nucleus. The comet’s unique shape also complicated things, according to Andrea Accomazzo, Rosetta’s flight director at the European Space Operations Centre in Darmstadt, Germany. Rosetta deployed the Philae lander toward the comet in November 2014, and the probe bounced around the nucleus before coming to rest on its side in the shadow of a cliff. Despite the bouncy landing, Philae still returned observations from the comet for three days. The first months after Rosetta’s arrival at the comet were focused on readying for Philae’s descent, but scientists struggled to find a suitable landing zone, thanks to the comet’s bizarre and unexpected shape, first detected in the final weeks of the spacecraft’s approach in mid-2014. “I had to drink a huge glass of cognac when I first saw it,” said Stephan Ulamec, Philae’s program manager at DLR, the German space agency. Comet 67P/Churyumov-Gerasimenko was discovered in 1969 by a pair of Ukrainian scientists. It stretches 2.5 miles (4.1 kilometers) in diameter along its longest axis, and researchers believe Jupiter’s gravity threw the comet closer to the sun in 1840, where it receives enough solar heating to vaporize ice and create a tail. Rosetta was never designed to land, and the comet’s irregular gravity field constantly moved the spacecraft off track. Engineers on the ground had to account for the slight pull of gravity from each of the two lobes of Comet 67P/Churyumov-Gerasimenko — the “head” and the “body” — which tended to drag Rosetta in different directions as the spacecraft flew at low altitude. Experts also needed to factor in small effects from solar radiation pressure, and even aerodynamic drag as Rosetta flew through the diffuse cloud of dust and gas in the vicinity of the nucleus. It all made for a challenging calculation. “If you go close, you feel one acceleration going one direction and another going the opposite direction,” Accomazzo said. The practical effect of the challenge was Rosetta had to conduct a rocket firing at least twice every three days just to stay on course and counteract the comet’s pull, Accomazzo said. Rosetta navigated around the comet by landmarks on the nucleus, and pinpointing locations of known features was tricky at close range. For the ground team, that meant working weekends, but the effort paid off. Ahead of Rosetta’s final descent, the ROSINA instrument aboard the spacecraft, which measured the composition and velocity of gas surrounding the nucleus, reported the highest densities ever detected around the comet. On the way down, Rosetta’s suite of sensors was expected to gather data on the gas, dust and plasma environment along a radial vector throughout the descent. Scientists were eager to get their hands on the observations, which could prove crucial to unraveling how comets spew off dust and gas to form the coma, the fuzzy cloud that surrounds the nucleus. Plumes discovered earlier in Rosetta’s mission, when the comet was closer to the Sun, were found coming from the region targeted for Friday’s crash landing. Managers dubbed the area Ma’at in keeping with the mission’s Egyptian naming theme. Researchers believe Comet 67P/Churyumov-Gerasimenko got its shape from the slow merger of two large objects in the Kuiper Belt, a ring of icy bodies beyond the orbit of Neptune. The comet also apparently accumulated more material through its 4.5 billion-year evolution, and moved closer to the sun to end up in its current location, which lies mostly between Earth and Jupiter’s orbits. There were risks in Rosetta’s dramatic final days. Ground controllers had to suspend parts of the safety logic uploaded to the spacecraft’s computer, and the probe’s wheels were to spin at higher speeds than normal as Rosetta pivoted back and forth for maneuvers and science measurements. If the spacecraft had a major fault during the final descent, engineers said there was no time to resume observations before impact. The flight plan called for Rosetta to descend head first, allowing the craft’s science deck to point toward the nucleus. Experts suspected the touchdown, while relatively gentle, would put the spacecraft into safe mode as one of Rosetta’s two large solar array wings — extending more than 100 feet (32 meters) tip-to-tip — likely made first contact with the comet. Normally, Rosetta would reset itself after such a disruptive event, then radio Earth for help. But Accomazzo said engineers uplinked special commands to Rosetta for the last day to have its computer put the probe into pre-launch mode when it came through the reset. “At the point it touches down, the systems on-board Rosetta will detect an anomaly in the attitude, it will trigger a safe mode, and if it is able to come back from the safe mode, the spacecraft will believe it is in a configuration for ground testing before launch, so it will not switch on the transmitter,” Accomazzo said. Even if the radio turned back on, officials said it was unlikely Rosetta’s high-gain antenna would remain pointing toward Earth, eliminating any chance to communicate with the spacecraft, which is too far from Earth to transmit with lower-power antennas. 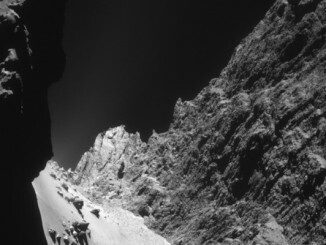 Turning off the transmitter, along with other systems, ensured Rosetta does not contaminate the comet, and it also met international regulations. With its swan song Friday, Rosetta ended a journey that lasted more than 12 years and covered 4.9 billion miles (7.9 billion kilometers) since the probe blasted off in March 2004. During the trip, Rosetta flew by Earth, Mars and two asteroids before reaching comet 67P/Churyumov-Gerasimenko. Rosetta was the first mission to thoroughly explore a comet, ancient objects which are left over from the early solar system. The spacecraft found organic compounds, including the amino acid glycine, a basic building block of life, but the water bound in the comet’s rocks is different from water on Earth, raising questions about theories that comets brought water to the planet. Rosetta built up a global following on social media over its two-year campaign at comet 67P/Churyumov-Gerasimenko, spawning short films and musical arrangements inspired by the mission. “There’s always the question of, ‘Is there a return on investment?’ said Johann-Dietrich Woerner, ESA’s director general, in an interview with Spaceflight Now moments after Friday’s crash landing. “I think if even only one person worldwide is inspired by this mission, it would be nice, but we have thousands who are inspired.